In preparation of the highly anticipated Garden State of Mind mixtape, Moruf "Moo" Adewunmi, 22 year old New Jersey lyricist and French Exit Media recording artist, drops "Mass Appeal Freestyle" in honor of the late Guru, rhyming over his opus "Mass Appeal." 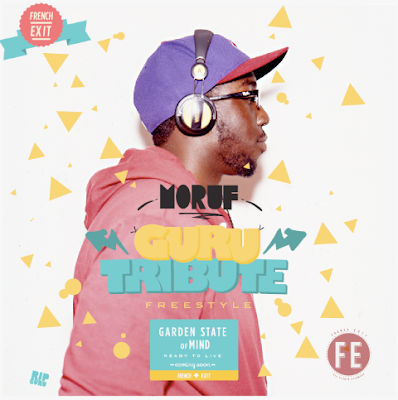 In secession to the well received introduction mixtape of yesteryear, Garden State of Mind: The Prelude, Moruf gears up for the August release of the complete Garden State of Mind project. Performing alongside the likes of Theophilus London and Jesse Boykins III, Moruf is being closely watched as he continues to garner attention and praise while performing throughout the Tri State Area. With clever word play and a poetic flow, Moruf is ready to provide the industry with raw talent that has been absent.